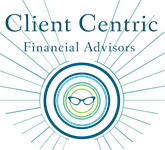 Below you will find links to some of the financial websites and online calculators we find useful here at Client Centric Financial Advisors. Did I miss your favorite financial website or an online resource you cannot live without? If so, please consider e-mailing me your suggestions. We are always on the lookout for free, user-friendly websites and online tools trying to help us simplify our overly complicated financial lives! Thank you for visiting ClientCentricFinancialAdvisors.com. Next time, please stop by our office or call in and say, "Hello". Until then, all our best!